How to find the angle bisector. Selecting three points A, B, and C produces the angle bisector of the enclosed angle, where point B is the apex. Bisect each angle of the triangle. 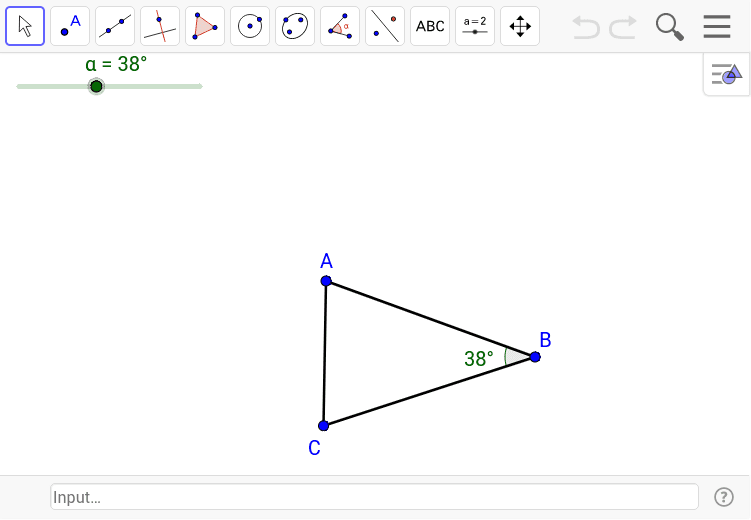 Once you construct a perpendicular bisector on each side of the triangle, what do you observe? Move the triangle around. Move the slider. Does your observation still hold?